The business world just simply isn’t the same as it was ten or even five years ago. The entire world of business has been experiencing a huge technological transformation. This is thanks to things like mobile internet, big data, social media and the internet of things. Implementing changes in a company to make it more up to date with today’s fast paced technology isn’t really a choice anymore. If you don’t update, you’ll likely be left in the dust by more tech savvier competitors. Overall, if you want to survive in this modern technological era, you need to take some steps to bring your business up to speed with today’s tech. Not doing so in many cases is simply too risky. Below are some digital updates you should consider for your company to bring it into the 21st century. Something your company could certainly benefit from investing in is big data analytics. Big data isn’t just a business buzzword. It refers to the fact that more data than ever before can be saved and then later analyzed by analytics software in an efficient matter. The benefits of instituting a big data strategy for a business are many and profound. For example, you’ll be able to track sales in a much more detailed manner. You’ll know exactly what products are being bought by which customers and exactly when those products sell the most. This can be extremely valuable to your long-term planning. It will help to eliminate the cost of overstock. You also won’t lose as much money due to running out of stock either. Instead, you’ll be much more likely to have the correct amount of product in stock at the right time of the year to maximize your profits. According to Retail Wire, overstock and out of stock products cost retailers a massive $1.1 trillion a year. Big data, on the other hand, can help you to avoid some of these lost profits. It’s a strategy for recording large sets of data that can be later analyzed so you can implement that information into your business practices to increase efficiency and maximize profits. Another important element of a serious digital transformation strategy for a business is cloud integration. The cloud is another term many people may find a bit confusing in regards to what it actually refers to. The idea is simple. Instead of data and software being stored locally on your computers’ hard drives, it is instead accessed through the internet from a cloud provider. The cloud can be used for many things. It can help to make the process of backing up data more efficient and fool proof. It can remove the task of installing and maintaining software entirely. Instead, that is handled on the vendor’s end since you just need to connect to the software through the cloud. 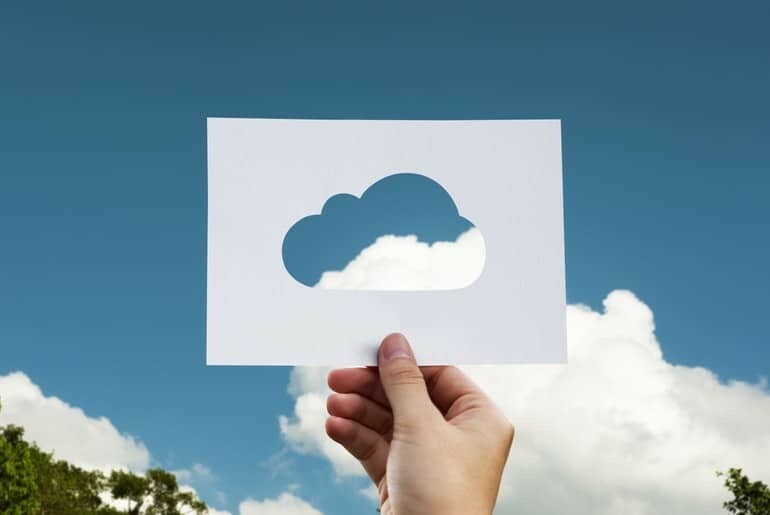 The cloud can also allow you to access data and software from anywhere with an internet connection. Overall, it makes the process of accessing software and data much more efficient. 85 percent of companies implement a multi-cloud strategy. Something else you should consider is integrating apps into your business model. Smartphones are now the way most people connect to the internet. Mobile became the largest source for internet connections in 2014. Offering your customers an app to enhance their experiences with your products can help to keep them much more engaged with your brand for the long term. More engaged consumers are of course more likely to make purchases more often. Overall, digital is here to stay. It should become an aspect of every business that wants to seriously compete in the modern marketplace. Consider different strategies you can use to integrate technology into your company. It can allow you to make more efficient use of your data, streamline how you use software and do a better job of connecting with your customers.